Bike Emporium rentals are a huge component of our business. You can access Scottsdale's Greenbelt or Canal from our location without contending with traffic. We have ample parking and neighboring businesses ensuring your vehicle's safety. Check out the "routes" tabs for road, mountain, and hybrid rides around the valley. Helmets, locks and maps are included with each rental. Clipless pedals and repair kits are also included for any road or mountain rental. 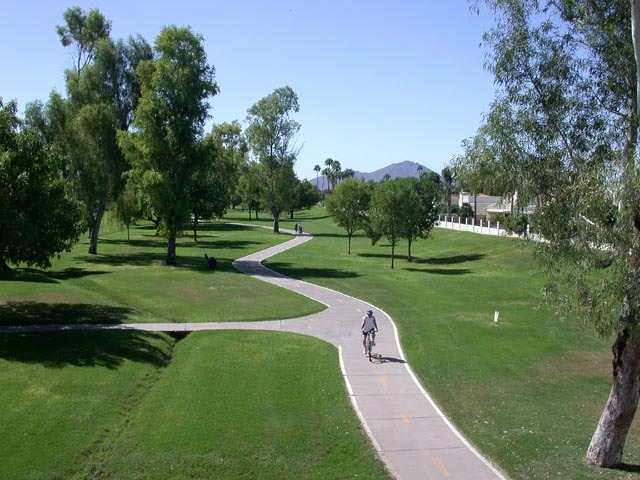 We are situated in an ideal location that is very conducive for accessing Scottsdale's famous Green Belt & Grand Canal. We are roughly a 2 minute bicycle ride from each trail. Being just outside of Old Town helps to avoid traffic when connecting to each of these bike paths and provides a more scenic ride. Hybrid bikes are well suited for this terrain.